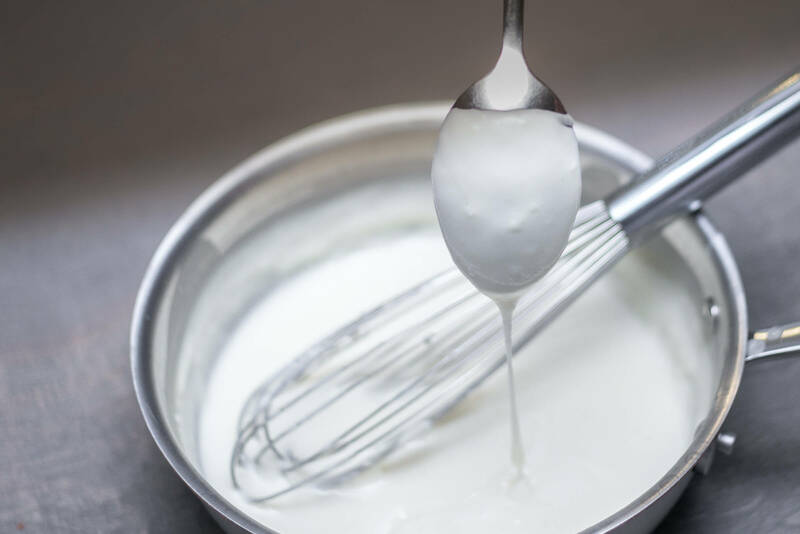 One of the fastest ways to improve your cooking is to practice some basic knife skills. You should know how to cut an onion properly. There is more than one way to cut an onion, but a basic dice is essential. The majority of the time we are cooking with onions, we dice them. 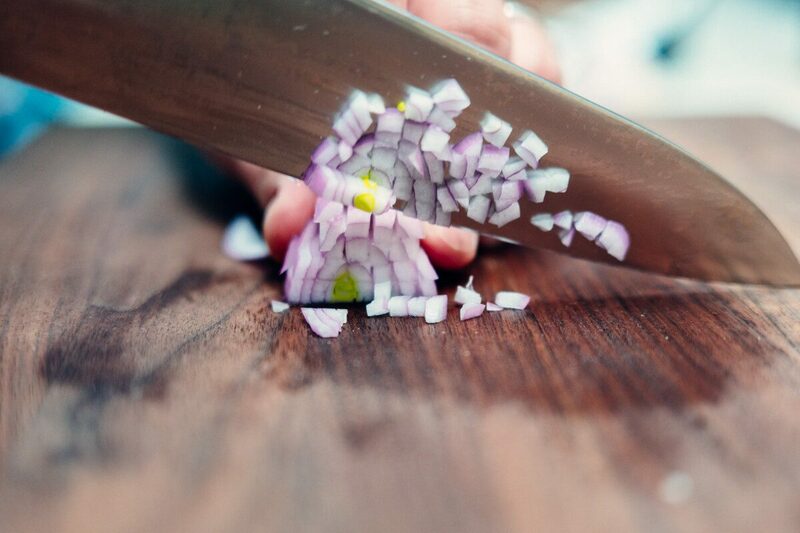 To properly and safely dice an onion, you’ll need just two tools: a very sharp knife, and a cutting board. A sharp knife is essential, and in fact, is far less dangerous than a dull knife. Some of our favorite knives are this from Zanmai, and this one and this one from Misono. We also love this one, this one, and these. To cut an onion you’ll use the chef’s knife. Make sure you protect your cutlery by using a proper cutting board. Plastic and glass cutting boards are terrible for your knives. We have this one and a bunch of these (can go in the dishwasher), and also just recently discovered these and might check them out. To sharpen knives between uses, we use a honing steel (this one, specifically). To start, put your onion on its side. Note that one end is the root end, and the other is the top end. Cut both ends off the onion. You’ll now have two flat surfaces. Next, stand the onion on one end, and cut straight down through the center. You will end up with two halves. Place an onion half flat-side down on the cutting board. Starting at the top end, carefully make horizontal cuts through the onion (parallel to the cutting board) between 1/4″ and 1/2″ apart, stopping about 1/2″ from the root end. Be sure to space the cuts evenly, and don’t cut all the way through the root end. The uncut piece at the root end will hold your onion together for the next steps. This is where having a sharp knife is critical. It gives you more control. 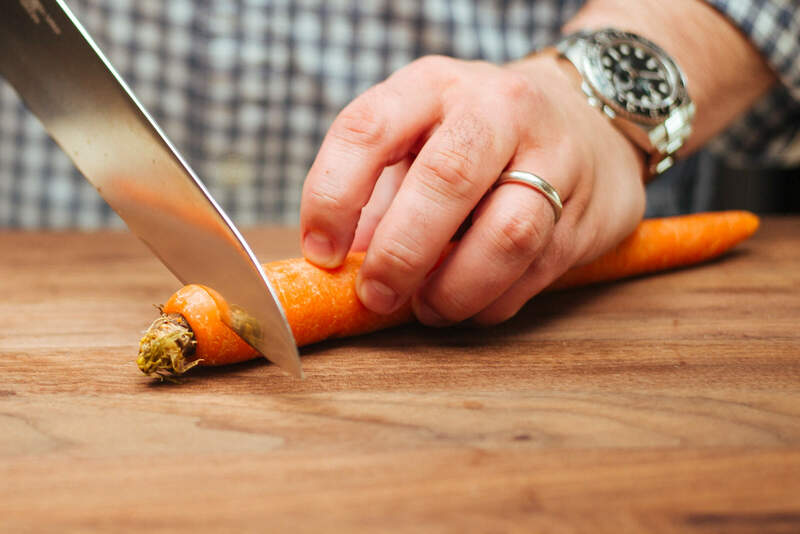 If you use a dull knife, you’ll need to use more force to cut through the onion, and you’ll risk cutting straight through the root end and injuring yourself. This is what the onion should look like after you’ve made your horizontal cuts. Next, starting about 1/2″ from the root end, stick the tip of the knife into the onion and make longitudinal slices straight through the top of the onion down to the cutting board. You will space these out by the same amount as the space between the horizontal slices. Start with a center cut, and work your way toward either side of the onion. The final step is to cut the onion crosswise into dice. Again, you’ll want to make sure your cuts are evenly spaced by about the same distance you’ve been using for the horizontal and vertical cuts. Work your way from the top end to the root end. When you get to the root end, you’ll have the un-cut chunk left over. We toss these in a bag in the freezer to use for our chicken stock, beef stock, vegetable stock, and shellfish stock.